Jenny Ralston tried to transfer money for housing to her friend, only she was off a few characters in the address. The money actually went to someone else. A TODAY'S TMJ4 follow-up on some local youth baseball moms who are overjoyed after they finally got their money back from a mistake transferring money . At first it looked like the incident was going to cost them more than $1,200. The U-12 Warriors Team from Muskego is traveling to Cooperstown this summer for a tournament. 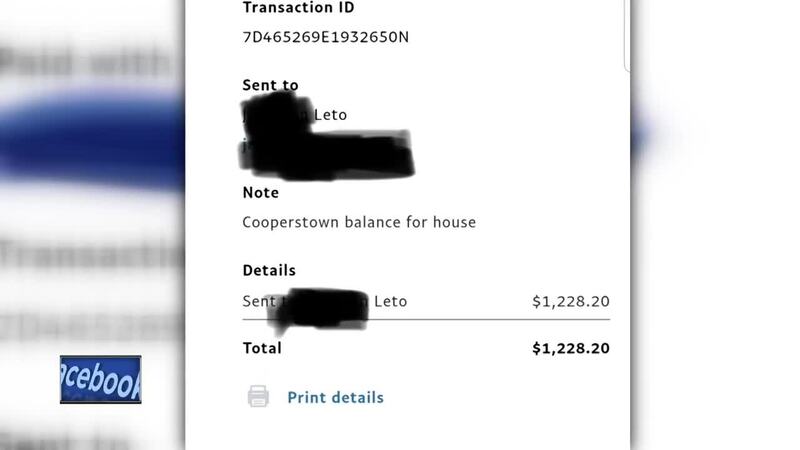 Jenny Ralston tried to transfer money for housing to her friend, only she was off a few characters in the address. The money actually went to someone else. She discovered the mistake days later, but was not able to get her money back from PayPal or her bank. After our initial story aired, PayPal stepped in. The company explained it cannot recover funds when they're transferred directly from a bank account. In this case, though, the company said in a statement, "PayPal did advise our local customer as to how she might work to get her money back. However, as a one-time courtesy, PayPal has provided the full amount back to Ms. Ralston's account." Not all of these cases have happy endings. The TODAY'S TMJ4 Call 4 Action office says in the case of customer mistakes, time is of the essence. "Some of these pay services are very convenient to use," said Karen Stiles, Call 4 Action director. "If you're going to use one of them, it's very important after you've done the transaction to follow through with the person on the other end to make sure they're getting their funds." There is a greater likelihood the financial app and/or banks can step in to resolve the issue if it's discovered within 24 hours. Outside of that, the customer is often left hoping the unintended recipient will agree to refund the money. Regardless, Stiles says it's not a bad idea to contact Call 4 Action. "Sometimes when you're trying to resolve things on your own, both parties aren't understanding each other," she said. "So to have a service like Call 4 Action where we can mediate, you can sometimes get better results." To contact the Call 4 Action office with a consumer complaint, click here.